Updated Tuesday January 9, 2018 by Heath Cain. Dixie Youth Baseball will only allow bats that have the NEW USA Stamp on them.... All other bats will not be eligable to be used during any Dixie Youth Baseball Games or Tournaments. ATBA will be checking each team and making sure they are not using a bat that is ineligible for play. If ATBA happens to miss a bat and it is used in the field of play, then the following Official ruling from Dixie Youth Baseball on Illegal Bats will apply: 1.10(d) Illegal Bat Penalty: A bat which does not meet the specifications in Rule 1.10(a) and Rule 1.10(b) shall be deemed an illegal bat. A batter who uses a illegal bat shall be called out and all runners shall return to the bases occupied by them at the time such batter took his position in the batter’s box if protested by the opposing team manager prior to the first pitch to the next batter. A batter uses a bat when he takes the first pitch from a pitcher during any time at bat. The bat becomes illegal when the batter receives the first pitch during his turn at bat. He does not have to hit the ball. The batter will be called out and any runners must return to the base they occupied prior to the first pitch to the batter. 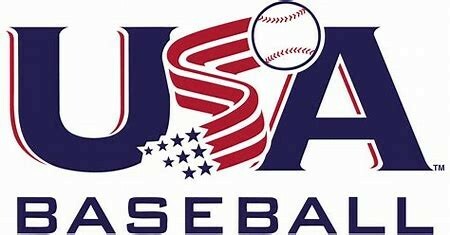 Effective January 1, 2018, all 2 5/8” bats and 2 1/4” bats used in Dixie Youth Baseball must meet new performance standards established by USA Baseball, the national governing body of amateur baseball in the United States. The new bats will be available for purchase in September 2017. Any bats with the BPF 1.15 stamp will not be allowed in league and tournament play beginning in 2018. External links are provided for reference purposes. Athens Teenage Baseball Association is not responsible for the content of external Internet sites. Copyright Athens Teenage Baseball Association All rights Reserved.